When I return from a trip to my beloved London, I tend to spend the next few weeks in brooding mode. That is, I brood when I have time to brood, between catching up on work, unpacking, and dealing with some awful jet lag. To cheer myself up, I try checking off places in my mental checklist - and sometimes a physical checklist, though my bullet journal has been mostly neglected since about June. So much for time management! Here's one place I'd meant to visit for years. 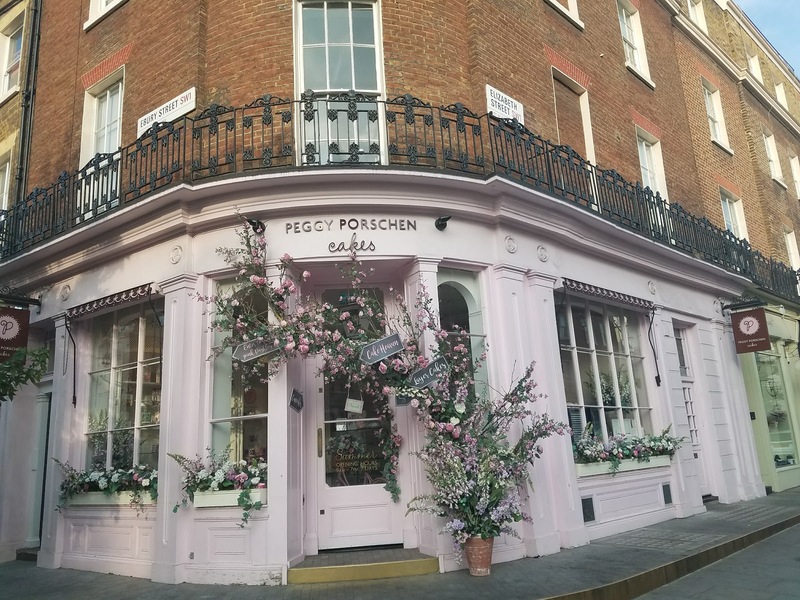 I'd passed Peggy Porschen Cakes on the way to Tate Britain once, and then couldn't seem to stop in during subsequent trips, mainly because I couldn't find it. When I found myself actually staying within blocks of it, I knew my time had come. If you haven't heard of this place, you probably have not looked at too many London tags on Instagram, because my feed happens to be infested by its pinkitude. 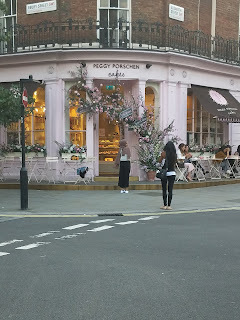 In a way, that puts me off a place, because I don't trust hype, but since I'd intended to go to here for some time, I knew I'd fit it in regardless of the crowds of pink-hued pilgrims hoping for the perfect pic. Anyway, who can blame them? It's really, really cute, and gives instant cheer to passerby, unless said passerby has the darkest, coldest heart. 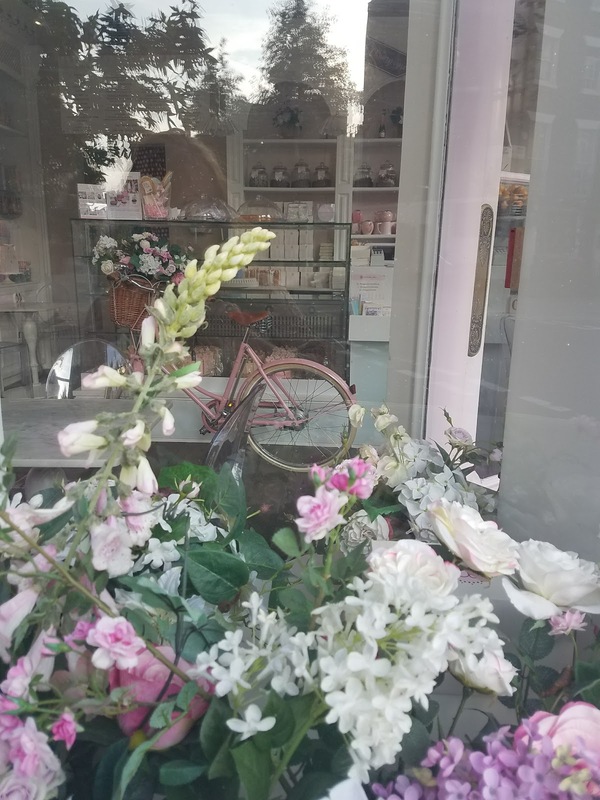 I waited for a day when it had just opened, and though there were already two girls working on the perfect angle for their cupcakes and cappuccinos, there was no line. I never quite "matched" the shop*, and I am loathe to pay the extra fee for staying in the establishment, so I picked a day when I could take my cake out to a park for a mini-picnic. So I won't be able to comment on the quality of beverage. I've decided to assume their tea is amazing, as most of the tea I've had in London is remarkably good. *not that anyone needs to match, but you know how I am about a good pairing! Gorgeous! Look at the presentation! PINKITTY PINK!!! And it was okay. 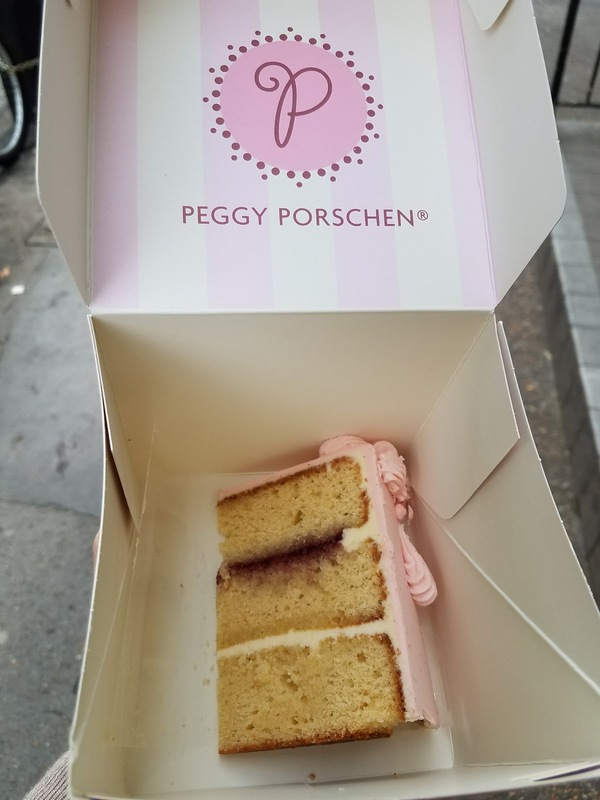 I didn't jump for joy, and I ate the whole thing (and got nauseated and had to breathe, and then I was better), but it was just a basically decent piece of cake. Perhaps if I'd had a nice Earl Grey, I'd have derived more love, because it was a tiny bit dry. I'm only judgy at all because of the hype, and because it was early, so any bakery item should be at its peak perfection. Oh well. Nevertheless, I'm glad I was able to go, if only to satisfy my curiosity. 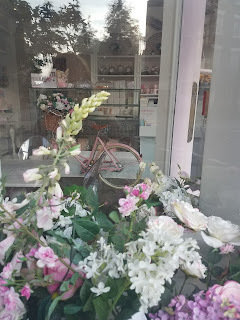 And I wouldn't say no to trying a cupcake with a cuppa, given another opportunity. 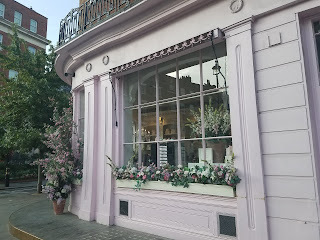 After all, there are many cupcakes to choose from which might be better than the sponge, so I'd still recommend going if it's on your list - or if you just love sugar and and Instagrammables and PIIIIIIIIIIIINK!!!!!! Tube: Victoria - look for Ebury Street, and pink. 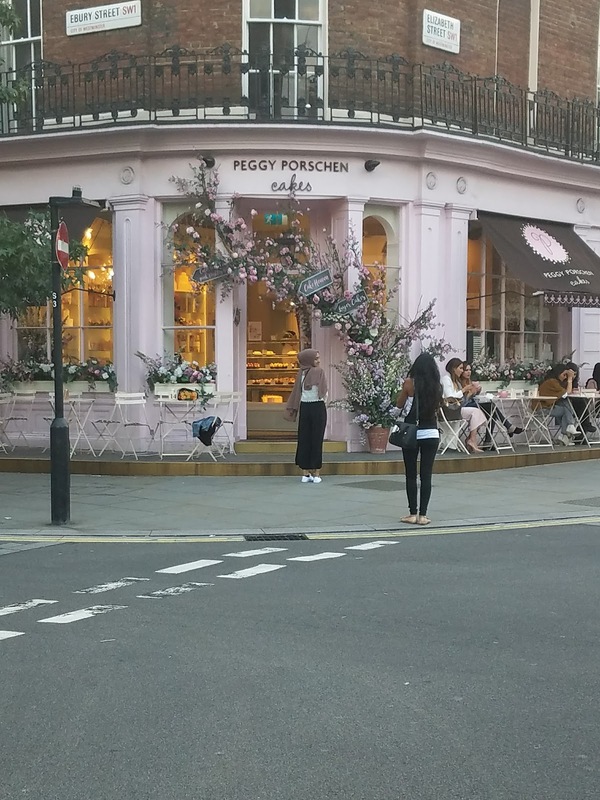 There were other spots in London that charged more for sitting in. Real estate, I guess.